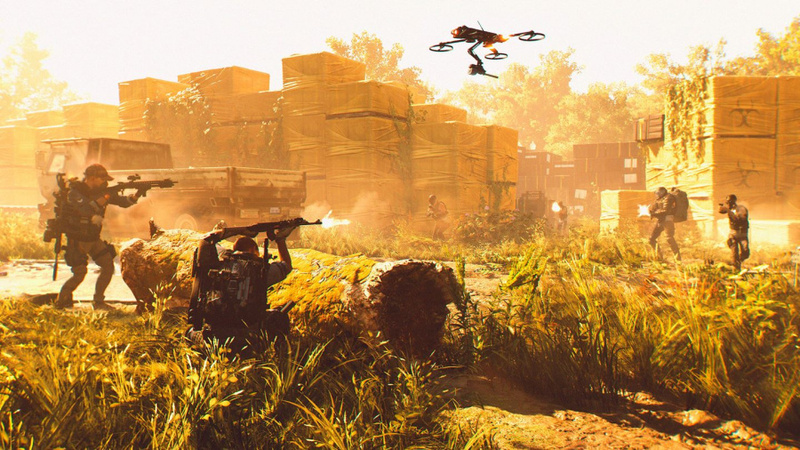 The Division 2 is a good, solid looter shooter. At points, it's a fantastic looter shooter, but at the time of writing, it has just a handful of notable issues holding it back. Ideally, a game releases with no problems whatsoever, but in this age of live services, regular content updates, and feedback-based patches, expectations have changed. Fortunately for The Division 2, it launched well. Stuffed with things to do and topped off with some quality gameplay, it's on course to being one of the strongest titles that the genre has seen. But again, it's going to need a few tweaks here and there. Several major bugs have come and gone as we've played through the game for review, but there are still a couple of frustrations lingering over the release. The most notable right now is that co-op scaling isn't quite working correctly. What this means is that if lower level players team up with higher level players, they can be killed by enemies incredibly quickly -- before they've even had a chance to react. Given the game's co-op focus, this is a bit of a disaster, but as with most of the issues that we're going to mention in this review, developer Massive Entertainment is supposedly on the case. Let's rewind before we go any deeper into the details, though. The Division 2 is the sequel to 2016's The Division, and it's better than its predecessor in every way that matters. A bigger map, more things to do, more loot, better mission design -- the lot. Massive has done an excellent job of building and improving upon what came before, and the result is game of huge scale that feels like it's had everything, including kitchen sink, thrown at it. The key is that most of it sticks. This is a devilishly compelling cover-based adventure, and that's largely down to the way that the game's world is structured. You can't go 50 yards without stumbling across something of interest, whether it's a secret loot stash hidden down a grubby alleyway or a chaotic firefight that's erupted between warring factions. As a setting, Washington, D.C. is intricate, exciting, and visually interesting. Everything's just a bit overgrown and there's clutter all over the place -- it's one of the most effective urban jungles that we've explored on PS4. Indeed, exploration is something that The Division 2 does so much better than its competitors. You're consistently rewarded for straying from main roads and streets, and that forms the basis for the game's stellar loot system. 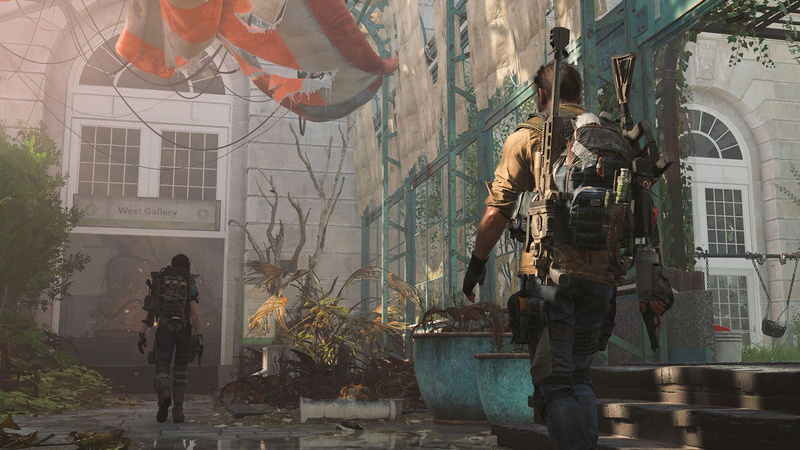 While realistic gloves, knee pads, and backpacks aren't the most exciting forms of equipment that you'll find in video games, The Division 2 loves throwing new gear at you. This is the closest that a current-gen looter shooter has got to the addictive brilliance of Diablo III. It's very, very easy to get hooked, and it helps that the sequel paces itself much more effectively than The Division. As mentioned, the mission design in The Division 2 -- particularly during the main story run -- is superb. This is largely thanks to memorable environments; it's museums, galleries, and other detailed public spaces that you'll be shooting your way through, and every mission feels like it's exactly the right length. There's just something about conquering several floors of an abandoned office building that's oddly satisfying. 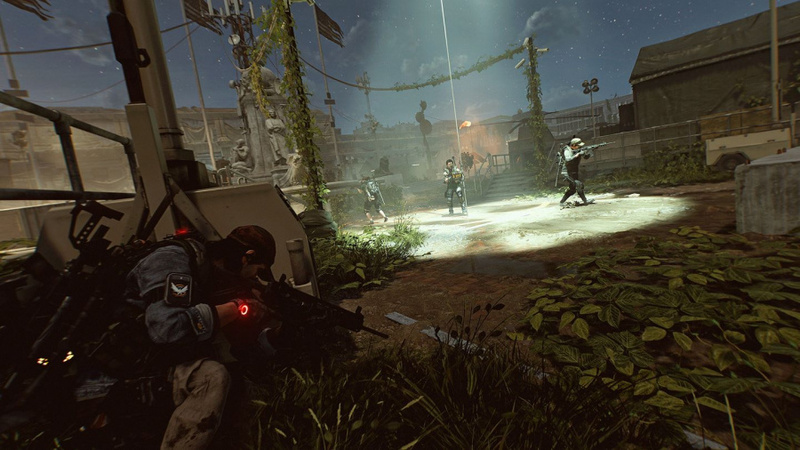 The tight environmental design gives way to intense tactical combat, and more than anything, it's the shooting itself that defines The Division 2. This isn't the power trip that you'll find in Destiny or ANTHEM -- this is all about strategic positioning, timing the use of your skills correctly, and identifying the biggest threat on each battlefield. Unless you want to get shredded in a matter of seconds, you need to to utilise cover, and in tougher scenarios, team coordination goes a heck of a long way. At times combat is slow and methodical, but the tension can ramp up in the blink of an eye. One wrong move and everything shifts -- suddenly you're being flanked and there's another bloody enemy on the mounted gun. The Division 2 teaches you to think tactically, and approach each situation with efficiency in mind. You pull a plan off correctly and you feel like a hero. The game's at its undeniable best when you and three other agents are matching the enemy move for move, blow for blow -- it's these intense and often unforgiving battles that elevate the entire experience. But there are times when it feels like the game is trying to undermine itself. Some opponents are, quite frankly, a colossal pain in the arse to deal with, and they do have a nasty habit of stripping some combat encounters of their tactical tension. We are, of course, referring to enemies such as the sledgehammer-wielding brutes that soak up bullets like a new pair of white trainers soak up grime. The design idea behind melee enemies is that they force you to get out of cover so that you're torn to pieces by projectiles, but this only works when they can actually be stopped before they reach your position. When they're charging through grenades and smashing turrets for fun, tactics go out of the window -- you either eject yourself from cover or you get clobbered. 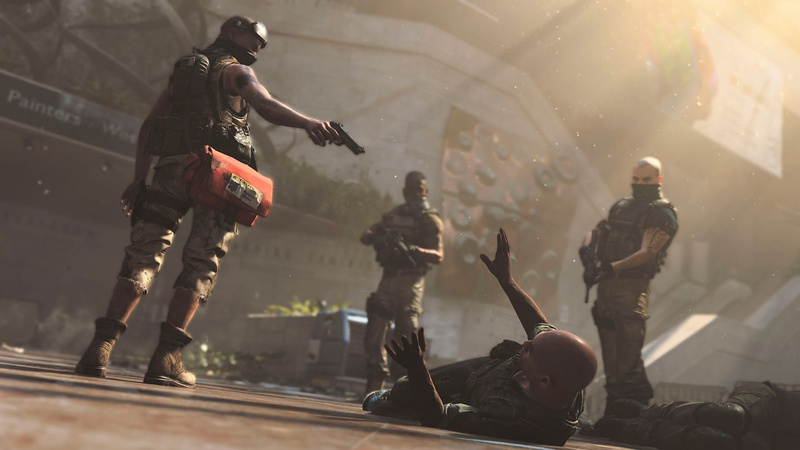 The bottom line is that running from foes that take an eternity to kill isn't very fun, and it goes against everything that The Division 2's combat gets absolutely right. And this feeds into what many might say is the game's biggest problem right now, especially once you've beaten the main story and you're progressing through the endgame. You see, you hit a point where damage output is everything -- and when we say that, we mean everything. If you're faced with elite level enemies within the title's hardest missions and you can't chew through their armour before they flank you, you're probably dead. Once again, one of the game's greatest assets -- its tactical combat -- is pushed to one side in favour of mindlessly emptying clips into anyone or anything that gets too close. This also means that skills -- deployable drones, turrets, shields, and other snazzy tech -- are mostly sidelined. In turn, diverse character builds are also shunned because if you want to wrestle with the biggest baddies, you've got no real choice but to go all-in on damage-per-second. It's a huge shame, because in theory, there are so many ways that you can evolve your character with a combination of skills, weapons, and equipment perks. The hope is that Massive will balance things out as it gathers more and more player data, but one area that likely won't be improved is the plot. There's not much to say other than it's virtually nonexistent. Outside of a few dedicated cutscenes, you just listen to people feed you information over your earpiece, and the narrative's just about as generic as it can get. The world of The Division is interesting -- Western civilisation brought to its knees by a biological weapon -- but the story does close to nothing with it. There are bad guys all over D.C. and you're gonna have to kill them. But hey, in all honesty, we'd rather just be getting on with the looting and the shooting, so in a way, we can appreciate the fact that there's no in-depth narrative. Besides, the dismal quality of the dialogue that is present in The Division 2 doesn't exactly make you wish that there was more of it. You're never looking for that story spark to keep you playing because the game's already so adept at rewarding your efforts. No matter how you decide to play, there's something to chase. Even if you're a lone wolf, everything's doable thanks to the way that enemy numbers are scaled down to accommodate for less players, and when it does come to joining a group for super tough co-op missions, matchmaking is always an option. And outside of all of this, the Dark Zone returns, giving players an opportunity to prove their survival skills in an everyone-versus-everyone environment. This time it's split into three different areas, and trekking through them alone or with a couple of friends can be gripping, but they do seem a tad empty at the time of writing. Maybe more players will flock to these arenas in the future -- supposedly when they're done with the lengthy campaign -- but currently, you'll be hard pressed to find consistent competition. Right now, The Division 2 stands strong as an addictive, well designed, and complete looter shooter. For how dynamic and intricate it is, its open world sets the bar for the genre, and its tense, tactical combat is, for the most part, a real joy. Unlike its competitors, this cover-based outing rarely feels like it's wasting your time -- there's always something worthwhile to work towards. However, the experience does stumble every now and then, usually due to a notable bug or gameplay balancing issue -- but these aren't unsolvable problems. 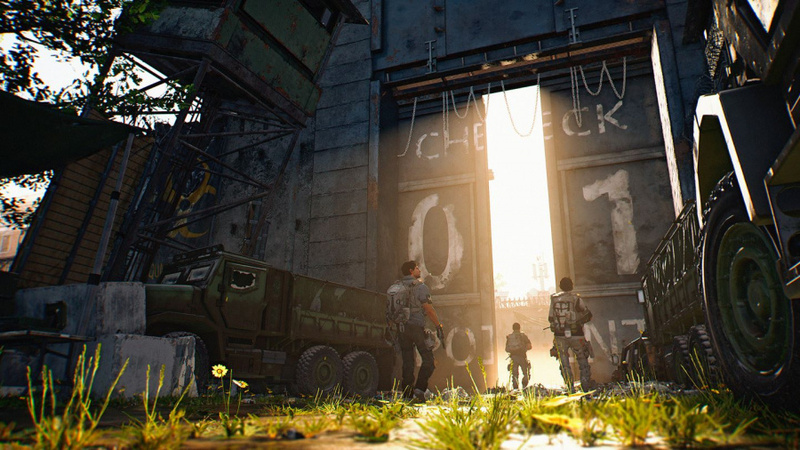 Even before they're fixed, The Division 2 earns a recommendation, but with a few key adjustments, Massive Entertainment is onto something special with this sequel. If anyone's got any questions about the game or the review, let me know! Is it any good in solo or do you need actual friends to play this? Uh, asking for a friend..
@ShogunRok Do you need to play the first one to understand what's going on? @Tasuki Not at all, barely any story to begin with. @nessisonett It's fine in solo but I think you have the most fun playing with other people. You don't necessarily need friends either since it's all open to matchmaking. I think the superb music adds so much to some of the missions. That leccy guitar track sure gets the adrenalin pumping, i tell ya. The thing that is ruining the experience for me are the audio bugs. I know the streets of Washington are mostly empty but they sound completely silent. There's no ambient noise to be heard which is especially noticeable during a downpour because the rain is completely silent! Also the npc's refer to my character as 'him' and 'he' even though I'm playing as a lady agent. Minor thing i know but it breaks the immersion for me. Other than that it's a fantastic game and I'm having a blast even playing strictly solo. Best game in the genre IMO and they haven't even add updates yet. I'm having a blast with this game! a 7 falls short for me! Best MMO so far. Having a blast right now and there is always something new to do. I think my appetite for looter shooter will be satisfied for a long time with this. To only score this game 1.3 more than Anthem is a crime and I really cant get my head around your scoring system. For its genre, and comparing the competition in their launch states, this is an 8.5 minimum. The campaign is far better than anthem while end game and pvp is far beyond too. Theres more loot, more reasons to actually chase loot and more methods of chasing it. There are many more abilities/skills and a wider variety creating more varied gameplay, even for what is ultimately a cover shooter. You can customise your character in terms of appearance (without spending £10 on blue paint) and lots of ‘specs’ to work towards for powerful end game builds. A really good variety of weapons too. The only negatives you mention (balancing and skill bugs) are both now fixed already. It is a fully fleshed out looter shooter which works well both solo or in co-op. Mathmatching has been flawless in my 40 hours too. I generally only use it for main missions and play the side missions and extra content as solo then do pvp with friends for those asking above. It also has a complete clan system (in game, unlike Destiny etc) so if you want to make friends rather than random matchmaking you can too. Working in clans earns extra rewards etc. Even some side missions are really well done and greater in length and quality than some of Anthems main campaign missions. The AI is clever and challenging. The world map is incredibly detailed with nooks and crannies to explore that actually have something at the end of them. It is also filled with life both friendly, passive and hostile. The day/night and weather cycle is nice too. Division 2 has to have some of the best enemy ai I have seen in a while, really have got my moneys worth already with this game and I only hit world tier 1 last night. If I had to complain about anything, it would be the lack of a good main story. If they could bring in someone to knock out a half decent story for division 3 it could be something special. Solid 8.5 for me and I'm a good 60-70 hours into the game now. I get there are some bugs but jesus you've punished that score. @nessisonett I’ve played the majority of the time solo and I’ve had a great time. I did one mission with matchmaking today and it was a lot of fun. It’s tougher solo, but I don’t mind the challenge. I'm plodding through this solo at the moment and having fun despite a number of flaws. The cover system is great unless you happen to have taken position next to a spot which ends up being a spawn point and you get wiped out. I agree about co-op scaling too. Someone from the Push Square clan jumped into my game (I didn't know they could do that?) and they were 10 levels above me. I was done for from that point as my weapons were next to useless. It is a shame about the story too as the first one was minimal but I still found it interesting enough. In this, I have no idea who anyone is or what is actually going on in the mission but it's fun enough to get away with it. @Omnicron Well yeah, I think the fact that it's better than Anthem comes across in the review, no one's debating that. 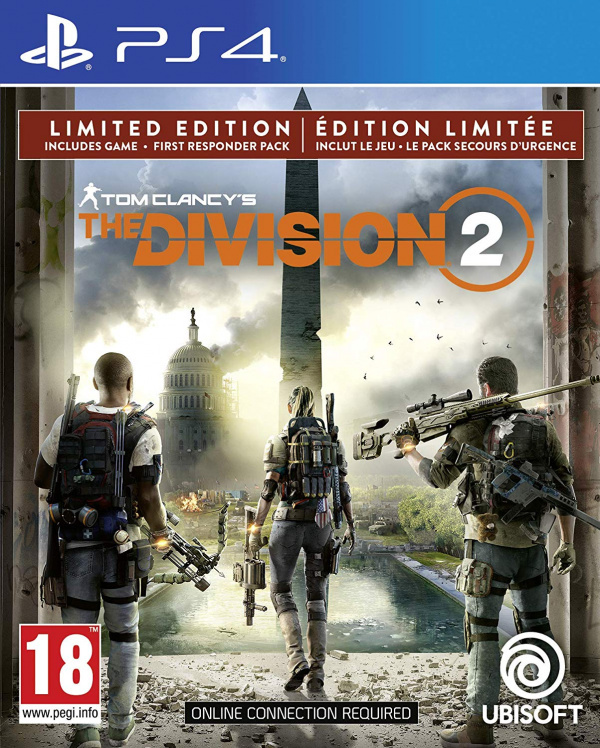 I just think there's clear room for improvement, and the way Massive is going about patching it, The Division 2 should easily be a good old 8/10 in the near future. And the things you mention in your comment have been fixed, but they're not the same issues that are mentioned in the review. @Tasuki Like the first game, the story is in the environmental collectibles. Those that say there is no story don't listen or read. To follow the story its best experienced solo obviously. Like Anthem, Fallout 76 or any other co-op shooter that attempts to follow a story, other players completely distract from any and all story pieces. Yeah not a seven but it seems pretty common for this site unfortunately. Overall I think it’s quite an enjoyable game, not perfect but I can see myself playing this well into next year. Personally I think it derserves more than a 7. The sheer effort, care and attention that has gone into this game puts many, many others to shame, and they all seem to get similar scores. 7 is still good, but they way the review reads, I thought it was heading for at least an 8, but maybe 9. I think it's awesome and definitely the best game out this year so far. Review is excellent and fair however the 7 score doesn't feel at all coherent with what's described. Easy 8+ for Division 2. The scaling is a problem, on missions and open world, some of my friends have been ten levels lower and its scaled fine on both gunplay and damage taken.. The main issue is when a player hits 30 with the added tiers. Myself Lvl 26, my cousin lvl 28 and friend Lvl 11 were okay in DZ 3 against the AI and the scaling was fine, but as soon as another came in (Lvl30 - Gear score 456), the enemies absolutely annihilated us! otherwise very good game. much more streamlined than the previous. Lessons have been learnt and despite my concerns before playing, I am quite happy. The longevity with the end game content also looks to be hitting the spot, according to my higher level friends too..
@ShogunRok I'm disappointed you didn't mention you can play Rock Paper Scissors. People obsessed with score prove how silly all that score fuss has become and does more harm than good to what reviews should mean. 'Oh its 7,why not 7.51? .. 'What a lot of nonsense. Even the reviewer admits the score should be up significantly in the near future. Go figure so to speak. @JJ2 I'm not overly fussed about number scores myself and would agree with you but even I was taken aback seeing a 7 after such a positive review. Are we really arguing like 7 isn't a good score again? Come on. "A good game with more positives than negatives, these titles are not average in our eyes. A release awarded this score may lack ambition or polish, but still offers a quality experience. Fans of a given genre should not overlook a game with this score, but may want to consider which areas we felt let the experience down." Now, I'll go ahead and say that The Division 2 is a borderline 8/10, for sure. It's so close. But it just needs that one little push, and the good news is that I think that push will come soon. But I can't review a game that has clear issues like the bugged co-op scaling and say "meh, it'll be fixed, ignore it". I have to review the game that's in front of me. Again, a 7 is a good score. 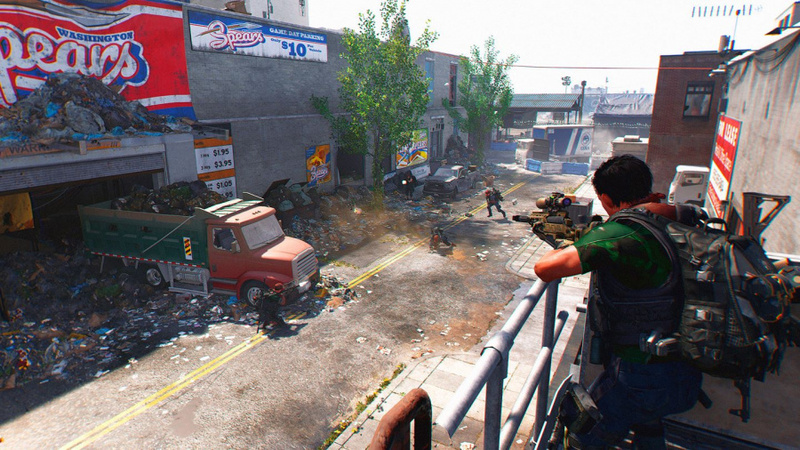 The Division 2 is already a good game and there's plenty of room for improvement. Reads like a 8, maybe even a 9. To say 7 was a surprise is an understatement. It’s a shame because - as far as I know - you don’t re-review games, so that 7 is pretty much set in stone now. Maybe “live service” games should get periodical review updates, say after 6 months or a year? Other than that though, it’s a well written review. Don’t get the obsession with scores. Interesting reading this after Anthem. Reads like one of the first looter shooter to learn past lessons. I can see that objectively, everything in this game seems to make it far more polished than Anthem. I don't deny that. But I'm personnaly sticking with Anthem for its lore, and its gameplay. I'm choosing the high-tech mecha armor over the mercenary with a gun. I appreciate your review, and thanks very much for that. Id say though, that people are NOT wrong to argue about a score. They are wrong to take for granted that scores are important because thats what they ve been led to think. Your explanation of what 7 means only reinforces that idea and opinions are fair enough. @Salt_AU I like o have a storymode without having to go look for it. Horizon Zero Dawn knows how to do it. A storymode and collectables that add even more to the story. @Nightcrawler71 I think that the developers make the game as good as it should be on day one. I dont think it would be honest to see Anthem get a 8 or higher with the release the game and maybe fix it later idea. @JJ2 Whether you personally find it silly or not, it doesn't change the fact that many people give a miss to games that score lower than an 8, so actually a score is a big deal and most people who have played it seem to disagree with the reviewer. They are, nevertheless, only very subjective numbers which have some value, for a limited time, for the very same people who gave them in the first place. @Flaming_Kaiser Horizon Zero Dawn isn't a multiplayer game and by the way, that had a tonne of environmental collectibles that fleshed out its storyline. 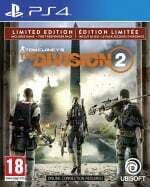 @Flaming_Kaiser lol but that is 'exactly' what The Division 2 has. What was your initial point when you replied to me?